Boston Sandblasting is the best service around for your blasting needs. Do you need rust removal from a surface? Do you need something set for paint preparation? Or just surface preparation? A tool for car restoration but delicate enough for antique vehicles? A method to increase to quality of paint? We can remove remove unwanted paint and restore many surfaces including brick walls, wood beams and log homes, cement, concrete calls, pools, fiberglass, cleaning construction equipment, and metal. ​We can restore or clean a fireplace including stone, or clean up fire damage from your home or business. Boston Mobile Sandblasting is the service for you and we are the dustless sand blasters for the job. Considered the best in the area, our services and methods in mobile dustless blasting are second to none and you will be hard pressed to find any service better than ours. Our services, management, and customer relations are the best around. You have our word that you will never regret hiring us whether it be renting equipment for your business or using our services for cleaning your facility. No matter how large or small the job, we are the company for you! Our methods, with many years and countless hours of experience, will not disappoint you in our professional service. 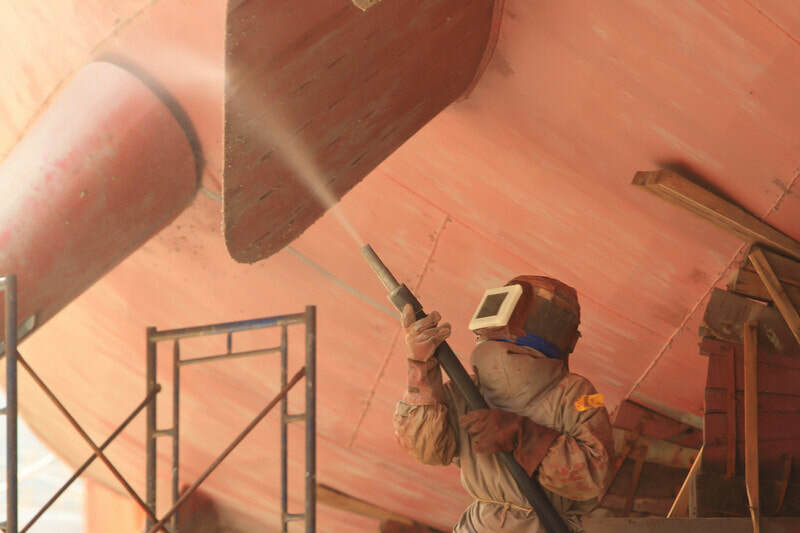 Whatever the job may be, we will not only meet expectations, we will surpass them and when you think of Dustless Blasting in Boston MA, we will be the company you think of. ​We look forward to hopefully serving you again and again no matter how many times you need us. And that this will make us both a member in an extended family that you know who to turn to when you need us for your business or home needs. For whatever your needs Boston Dustless Blasting is the right method for you and we will be there for you through thick and thin for all your needs as a family should. ​This reliable method of cleaning is ideal for all personal, private, and commercial purposes. As it cleans many of the surfaces mentioned above and so much more. Many with the added benefit of leaving surfaces below and around undamaged. This method is ideal for large amusement parks, construction zones, or small storage units or the cleaning off the outside of your home or removing old paint as needed or to make it like it was newly built. 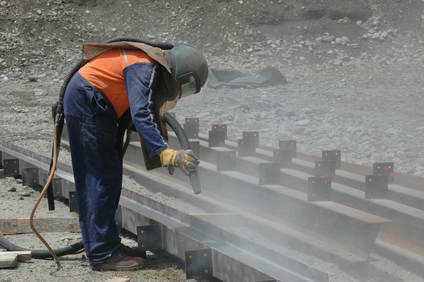 ​We avoid the use of silica in our sandblasting jobs whenever possible, which has been known to cause medical problems As it is our policy not only to use safer alternatives and to lower the use of this material on all our sites and work places. ​Below is a list of methods and details on each version of sandblasting and Soda Blasting for you to look over. And to see which of our services would work best for your needs in both work and personal use. 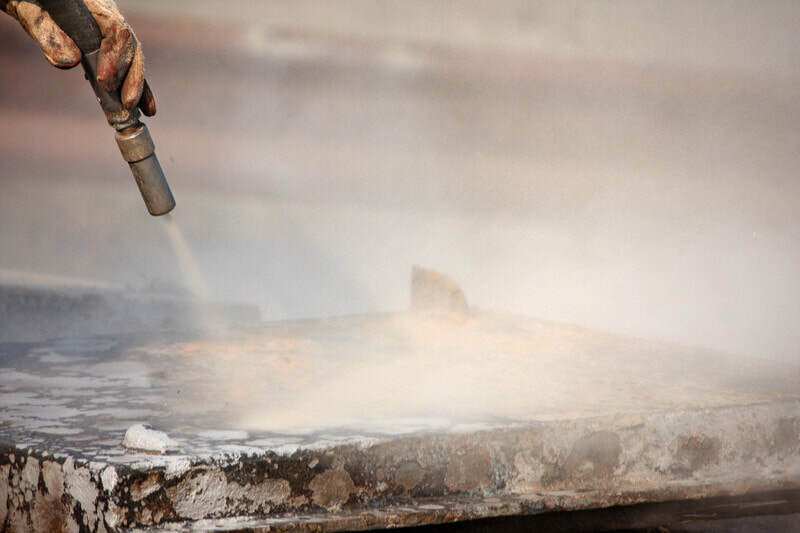 ​As well as what we would use for our dustless blasting, which will be explained to you when you either rent form us or when our team is sent out to your location. This is the process of shooting wet sand for industrial purposes though Silica Sand first used by Norman Ashwood. The method is still used to this day by for commercial use for the use of removing hazardous waste. Such as asbestos, radioactive materials, or other poisonous substances. Though not as fast as conventional methods. However, the presence of the water creates various advantages for its use. As it provides lubrication and cushion that would prevent excessive damage from happening to the object being cleaned in the process of use. However, this method is not recommended for the use on metal. As it can cause flash corrosion on the surfaces of metallic objects if used on them. Boston Mobile Sandblasters will advise you if this is the best method for your preparation or rust removal needs. This is the method of using fine glass beads instead of the usual sand at a high pressure to remove surface deposits. Used to clean calcium deposits from pools, the removal of embedded fungus, Mohs hardness, and as a way to brighten grout color. ​It is also used as method of removing paint in auto body shops as it is more reliable than traditional sand blasting as it creates a better surface profile. Bead blasting also creates a uniform surface on machine parts unlike some of the other options. This method can also be used for cleaning mineral specimens from various sources. Some of which sometimes has a Mohs Hardness to them. This can be better because traditional sand might run a risk of damaging the specimens. At Boston Mobile Sandblasting we are professionals in every method described including this one. This is an airless method as it uses a high-speed spinning wheel against an object. This method is primarily used when there is no propellant or flammables present. Such as gasoline or propane. This method is highly effective with surfaces such as steel, stainless steel, cut wires, grit, and similar objects. Sandblasting Boston MA knows how to use each method effectively. As the name suggests water is the sole substance with no other substances used in this method. 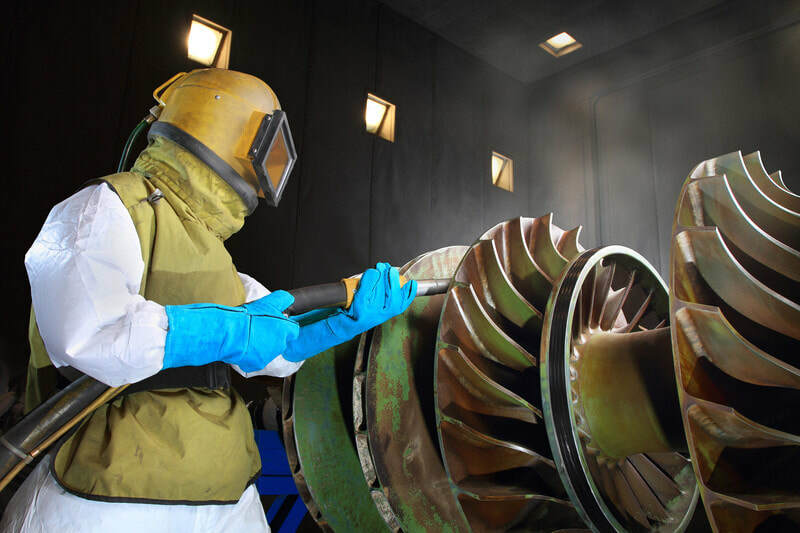 Hydro blasting is a high-pressured steam of water used to prep a surface or piece of equipment. This usually requires one person to operate but it could become a two-person job depending on the pressure being used. This method is mainly used in removing old paint, chemicals, or buildup without damaging the original surface. This method is commonly and ideally used in cleaning both internal and external surfaces. And it can be used to treat hard to reach palaces that can’t be reached by other methods. One of the major advantages is the ability to recapture and use the water safely. Ideal for use in parks both commercial and recreational. This is a popular method used for our customers at Boston Dustless Blasting. This method is used with smaller nozzle than other methods, the largest nozzle being only one and a half millimeters. This is used to deliver a fine stream accurately at small areas as part of a larger cleaning project. The accuracy of this method is so acute that you could write on glass and delicate enough to cut a pattern in an egg shell. This method is commonly used with commercial bench mounted units consistently using a power supply and mixer, exhaust hood, nozzle, and gas supply. The nozzle can be hand held as a fixture mounted on for remote or automatic use. The name speaks for the method itself. Making the method completely automated without the use of human intervention. Like other methods this is often used in a step in larger cleaning operations. Care is often needed in this method to isolate the blasting and keep it fine-tuned. As this can also lead to dust fouling. This is a less common form of abrasive blasting but when it works it sure works! In this method a mixture of air and dry ice is used as the name suggests. This is mainly used to dislodge surface contaminants. Through the use of the force of the frozen carbon dioxide particles used hitting at a high velocity. However, there could be a slight shrinkage due to freezing. This method could be used to preserve underlying material as Dry Ice is a relativity soft material. This method unlike most does not require a substance to blast. It is used mainly with a brush like rotating tool. Which is made of dynamically tuned high carbon steel wire bristles. This is operated by sharp rotating bristle tips and results in localized impact, rebound, and carter formation, which will both clean and coarsen the surface of the material at the same time. This method will produce very little dust and spills, or some might even say that this method is dustless as the method uses a dry abrasive. Then collects both what is used in the blasting as well as loosened particles loosened by the blasting then afterward. ​This method like Hydro blasting has the option of being able to reuse the material used for dustless blasting as they are filtered out from the dust that is collected. Boston Sandblasting enjoys using this method due to it producing less dust, allowing us to move more efficiently through your local job! Mineral – Mineral we use are garnet, Magnesium Soleplate, kieserite (which is commonly also used as a substitute for baking soda.) This has applications in soda blasting. Agricultural – Crushed nut shells or fruit kernels. These are used to avoid damaging the underlying material. Such as when cleaning stone and brick. Like removing graffiti from such materials. Or for removing coating from circuit boards. Synthetic – This includes corn starch, wheat starch, sodium bicarbonate, and dry ice. These are also used to avoid damaging underlaying material on brock and stone as well. This material is also used on process byproducts like copper, nickel, and coal slag. Engineering abrasives like aluminum and silicon as well as recycled products like plastic and glass. Metallic – Steel, cut wires, copper, aluminum, and zinc are commonly used for this. For more heavy-duty jobs.